It is widely used in magnesium salts production industry, agriculture. 1. Raw material of magnesium salts, such as magnesium sulfate and magnesium nitrate. Raw materials: Magnesium oxide and sulfuric acid. 2. In agriculture, Magnesium oxide can be used as magnesium supplement in compound fertilizer. 3. Soil Decontamination, get rid of heavy metal of soil. The main risk of depositing solid wastes on landfills or other sites is the leaching of the heavy metals, even from rain water, and their subsequent transport to the aquifer resulting in the pollution of the surface and underground water. This type of pollution is even more direct than liquid wasters that contain heavy metals. The hydroxides of the heavy metals have very low solubility at a pH range of 9-10, conditions that can easily be achieved by the presence of magnesium oxide. 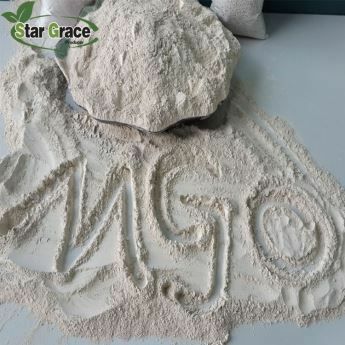 Consequently, by using magnesium oxide, we achieve the precipitation of heavy metals in waste water as well as stabilisation and bonding of the heavy metals that are found in solid wastes. 25kg, 50kg or 1250kg bag all available.